It’s Sinterklaas season! This Dutch holiday (that has been getting a lot of flak from the international community) is more important than Christmas for Dutch kids. Though the rest of us have to wait until December 25th to get our presents, Dutch children get theirs on December 5th. Whether you celebrate Sinterklaas, Hanukkah, Diwali, Christmas, the Winter Solstice, New Year’s or something else, it seems to be the holiday season for everyone. You send people greeting cards that might even say “Season’s Greetings” so this is the perfect season to talk about the word GREETINGS. Say hi to him for me = Doe de groetjes aan hem. Because both greetings and greetz are used so commonly in Dutch, it can be hard for Dutch people to separate themselves from this word in English. In general, if you’re Dutch, you should take the English word greetings and add it to your do-not-use list. Greetings if they are still with us to Len Wein and Berni Wrightson, originators of the comic strip. I reciprocate your seasonal greetings. Have you been flooded with greetings all day, sir? In short, do not use it to say hello or goodbye. Do not use it to refer to saying hello or goodbye unless you are trying to sound stuffy. But of course, there are always exceptions. 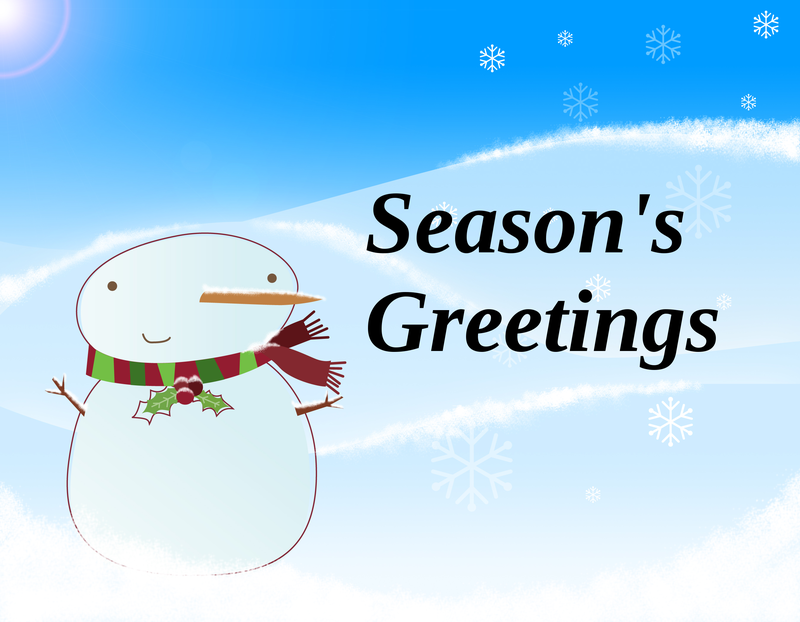 Around the holiday season, you might see the word greetings in a couple of very specific contexts. This still does not mean that you should use it outside of this context. If you are reading a greeting card aloud to someone and it says Season’s Greetings, you can say this out loud. But only in this context–don’t go around wishing people “Season’s Greetings” — instead wish them “Happy Holidays” or the specific holiday they are celebrating: “Merry Christmas” or “Happy Hanukkah” or “Happy New Year”. Along these lines, if you are very competent, you can dare to use it in other contexts but keep that mental picture of the alien in your head. I admit that I sometimes receive an email from Coursera with the salutation “Greetings, Courserians!” but I have to think that is done tongue-in-cheek. He’d usually greet me in the Devon dialect. When independence came in 1963, the moran were there to greet it with their manyattas intact. We had all risen to greet them. Now, go forth and greet everyone appropriately! If you thought this post was interesting, you might want to consider signing up for the newsletter and occasionally getting free English tips in your inbox.